The subtitle, The Inspiring Story Of An Unlikely Hero And The Animals Who Helped Him Save Lives In World War II, places a military spin on the story of Billy Williams and his elephants. But that story, which comes much later in the narrative, is only a sliver of this fascinating account. 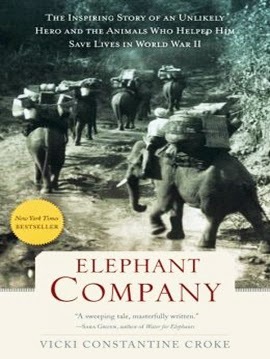 Elephant Company is the historical narrative of J.H. "Billy" Williams and what would become his purpose in life. This is a story of friendship, loyalty, and the occasional betrayal of a man who could easily be considered an elephant whisperer (or elephant-wallah as they are called) as someone who understood these noble creatures like no one before him. Elephant Company is a grand colonial adventure because it's true. Fresh from his service in the World War I, Williams did what many war veterans did during the colonial period of the British Empire. He took an adventurous job in Burma as a "forest man" for a British teak company. The work was impossibly hard, the environment naturally unfriendly and infectious, and the weather incredibly unforgiving. But amidst all these hardships in the early 1900s, Williams also found something else. He became mesmerized by the intelligence, character, and humor of elephants. 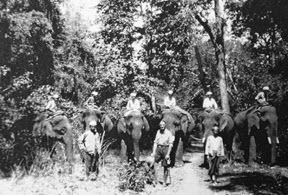 Almost immediately upon taking charge of his new assignment, Williams noted the working conditions, illnesses, and injuries of the elephants used in the clearing and production of teak. And as he learned more and began to understand them, he became a champion for their humane treatment. This meant establishing a specialized school and hospital for elephants, whereby they would be trained with praise and rewards as opposed to the crueler methods that had been embraced by the native population. His methods proved to be a breakthrough by convincing his employer that healthier and happier elephants produce more work while creating a safer work environment. In some ways, it is easy to say that this is a story about how a man changed elephants. But the reverse is equally true. Williams would be the first to say that elephants, especially one tusker named Bandoola, made him a better man as they taught him the lesson of family, trust, courage, and gratitude. The true measure of this mutual transformation does eventually face the ultimate test as Imperial Japanese forces invade Burma in 1942. Williams would re-enlist, this time with the elite Force 136. Attached to what is known as the British dirty tricks department, Williams and his men would operate behind enemy lines to carry supplies, build bridges, and transport the sick and elderly over harsh terrain. Equally important to his mission, Williams would also devise a plan to smuggle elephants out of the Japanese-held territory to prevent them from doing the same under much harsher working conditions. It's this portion of the story that commands significant attention by critics and reviewers, especially as his rag tag group attempts to flee over the mountainous borders to India. A few graphs about author Vicki Constantine Croke. There are times when Croke helps readers forget they are reading a historic narrative and the story begins to feel much more like a wildlife adventure than an epic war story in the last 100 pages. The only time this doesn't work is when Croke reminds readers, by citing correspondence or summarizing some events, that Elephant Company is a narrative based on research, correspondence, and books that the elephant hero had written himself. Still, overall, Croke demonstrates her continued talent to chronicle animal stories with tight writing and admirable prose that sticks with you long after finishing the book. 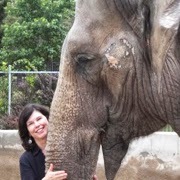 In Elephant Company, Croke continues to build upon decades of experience as a writer interested not only in animals, but also in the bonds they forge with humans. Elephant Company By Vicki Constantine Croke Elevates 8.6 On The Liquid Hip Richter Scale. Elephant Company is truly an extraordinary book in that Croke ultimately captures the love Williams felt for elephants. She does so, miraculously enough, by sharing her own love of these and other animals but without ever drawing any real attention to herself. Sure, there are times that the story feels a big bogged down by the details. But given that this is a real life account, most readers recognize this as real life. You can find Elephant Company: The Inspiring Story of an Unlikely Hero and the Animals Who Helped Him Save Lives in World War II by Vicki Croke on Amazon. The book is also available for iBooks or as an audiobook on iTunes. The narrative is read by Simon Prebble, who capitalizes on Croke's ability to transport her readers across time and space. Elephant Company is also on Barnes & Noble. Elephant Bill by Billy Williams is a must-have too.